I’m in the process of getting familiar with AWS and Serverless architecture and thought I’ll share some basics with you. 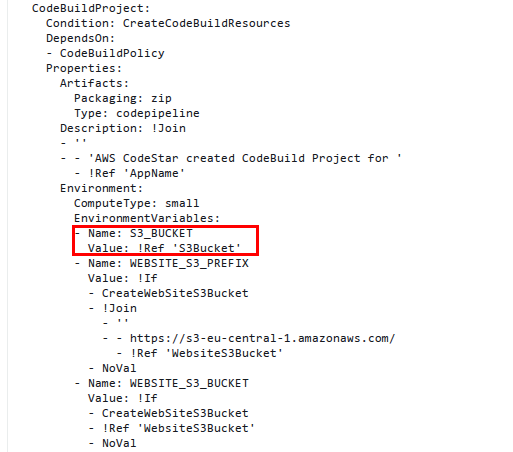 Ah, so it looks like we’re using Cloud Formation package option which (in the above form) will wrap whole current directory, create a ZIP and upload it to S3 bucket named $S3_BUCKET. It will then save the name of the S3 resource it just uploaded and use it as CodeUri in generated template-export.yml. I find CodeStar a great way to immediately start with your development. It preconfigures all steps of a build for you, i.e. CodeCommit, CodeBuild, CodePipeline, CloudFormation, Lambdas, IAM roles, CloudWatch, S3 Bucket. You can just jump in and give it a spin without time consuming resource configuration.